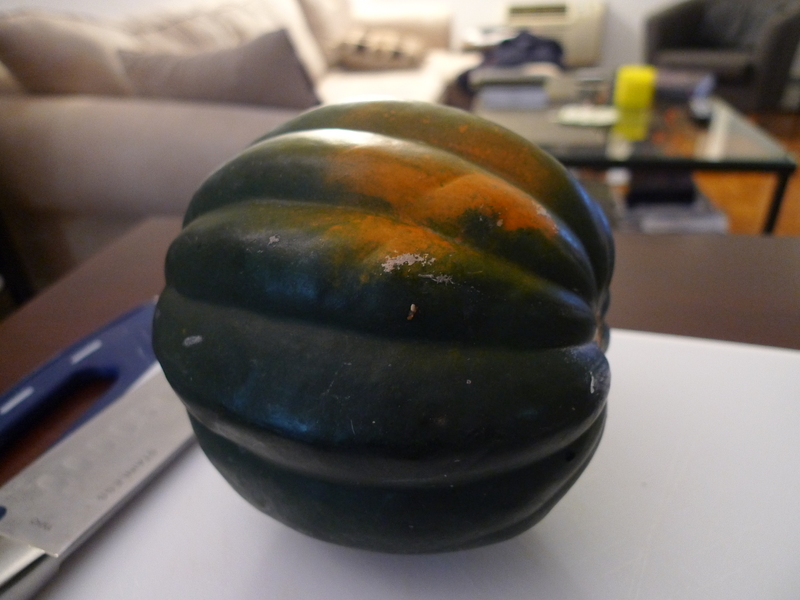 As fall season rolled through, we had bought an acorn squash primarily as an autumn decoration for our apartment but we figured we would eventually cook it. 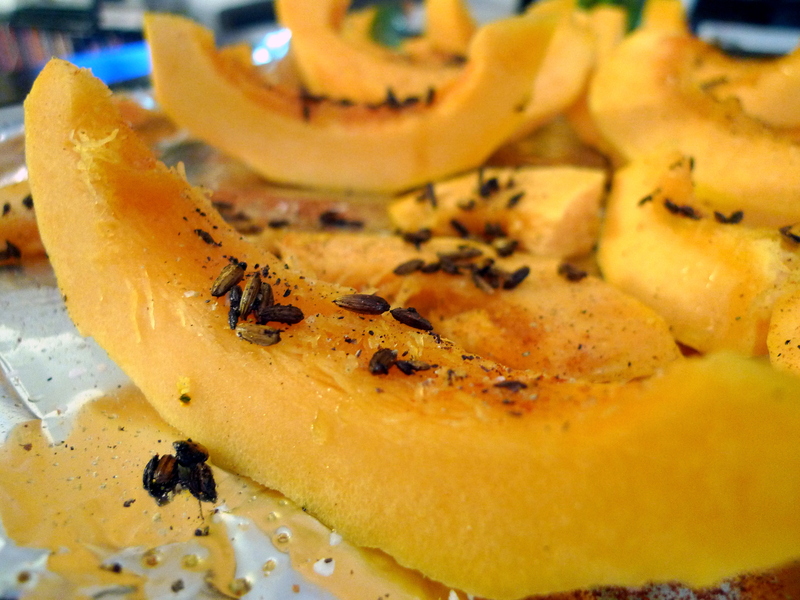 I love cooking squash as it has such a light sweet and nutty flavor. So far I have cooked with pumpkin, butternut squash, Japanese Kobocha squash, and now acorn squash (delicata squash is next!). 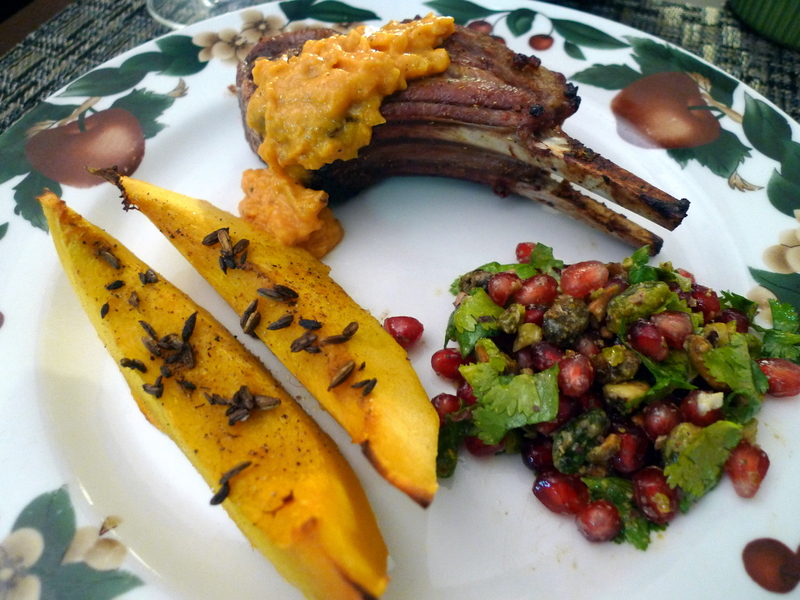 I came across a unique recipe for Papaya, Garlic & Anise Marinated Lamb Rack with Panch Phoron Kobocha Squash and figured I might give it a try. The squash recipe uses panch phoron, or “five spices,” which is a blend of fennel seed, cumin seed, fenugreek, Nigella, and mustard seed that commonly is used in Bangladesh and East India. I didn’t actually have any panch phoron per se but I made my own blend with the fennel, cumin, mustard powder, coriander, and a dash of paprika. The great thing about spices is that you can always improvise! Try some other delicious squash recipes including: Creamy Kobocha Squash Risotto, Butternut Squash Soup, Easy Pumpkin Muffins, and don’t forget to keep the seeds for a yummy baked snack as Roasted Squash Seeds! Preheat the oven to 350°F. Peel and segment the squash into thick wedges and then place on a roasting pan lined with aluminum foil. Drizzle with a bit of olive oil and generously sprinkle some salt and black ground pepper over the wedges. 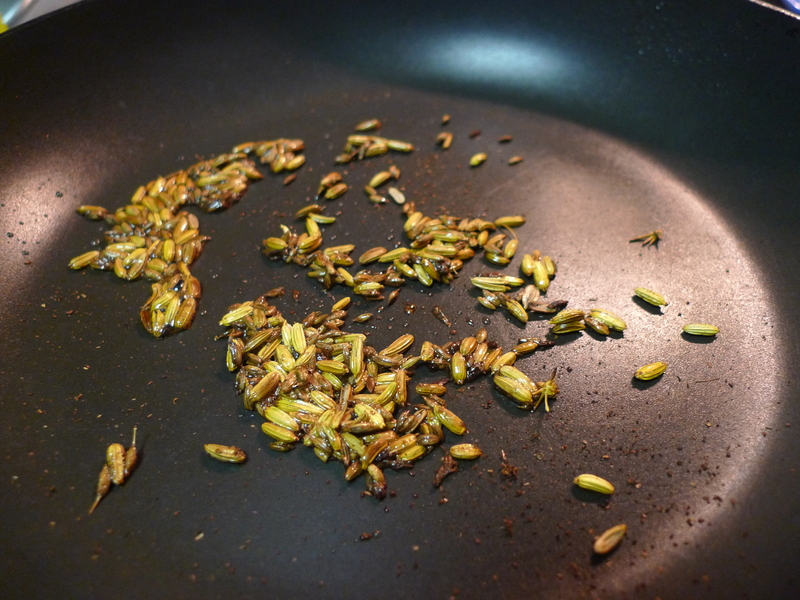 In a small skillet, heat a little oil gently and add the spices (I used fennel, cumin, coriander, and mustard powder). Leave them until they start to pop and you can smell the aromas releasing into the oil. This process is known as tempering. Pour the tempered panch phoron and its oil over the squash wedges. Sprinkle a bit of paprika on the wedges and then roast in the oven for 20 minutes until you can pierce the squash easily with a fork. 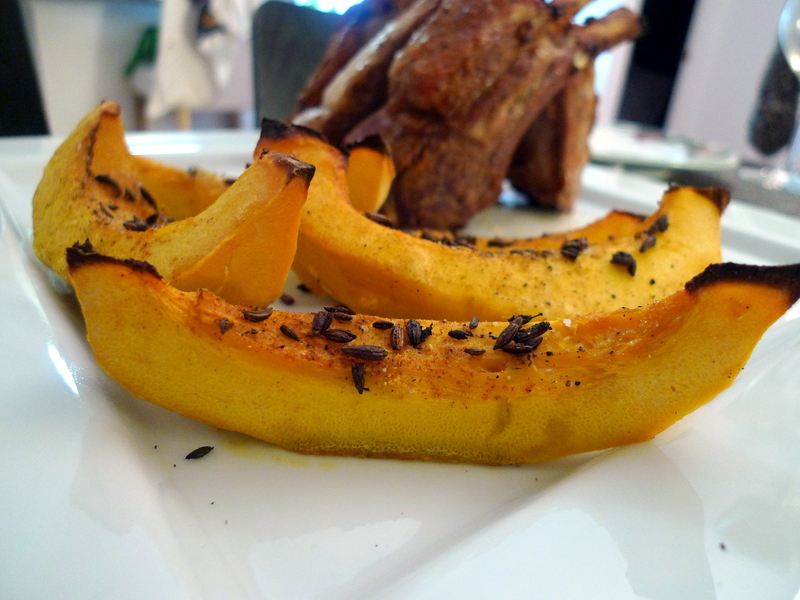 Enjoy this roasted squash with other South Asian inspired dishes such as Papaya Marinated Lamb Rack.